I have been working on this baby blanket for my soon to be arriving bundle of joy. Which by the way is coming way too fast. We moved this past weekend and now have a room specifically for baby and it is making this addition extremely real. 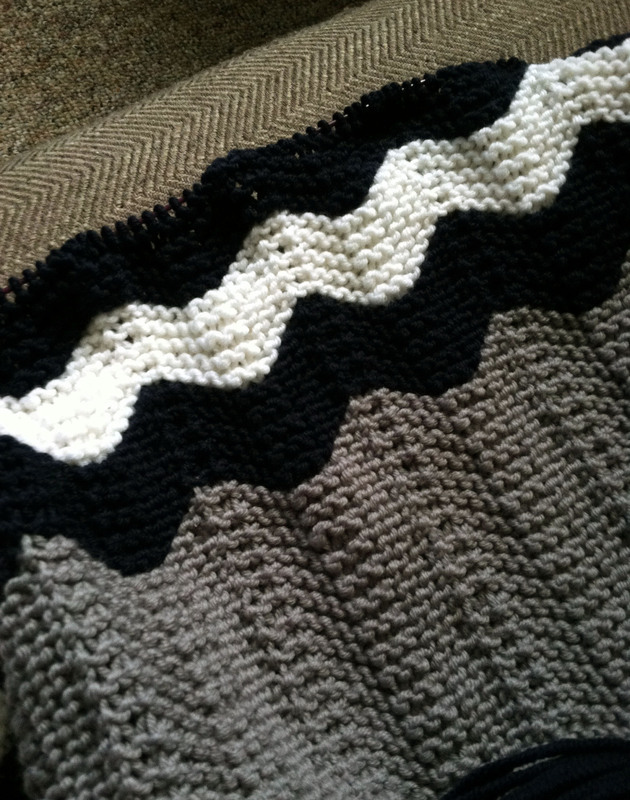 Anyhow it is gray, white and navy and a chevron pattern, I am using Debbie Bliss Rialto, it is super soft and squishy. There was a month or so there that the blanket was lost in the mess of moving boxes. It has been found and I have realized that I don’t really like how it is turning out, I originally went with the Pearl Bee’s Chevron pattern. T heir patterns are great and this one is no different but the chevrons are more waves than points and while I do like that it is knit every row I really did want the “points”. My other option is Espace Tricot’s Chevron Baby Blanket, which have nice points but will probably roll a bit or the Madalyn Rae Baby Afghan, which will not roll but I’m a little wary of how “pointy” it will be. My hubby is a fan of the more pointy patterns which is helping me lean toward frogging. So now I am turning to you with the question, do I battle on and grow to love it, BabyBoyBleacher isn’t going to care. Or do I rip it out and start over with the one we really want? I say frog. Since baby will be arriving soon and his/her personality will be unknown yet, you won’t time to make another. 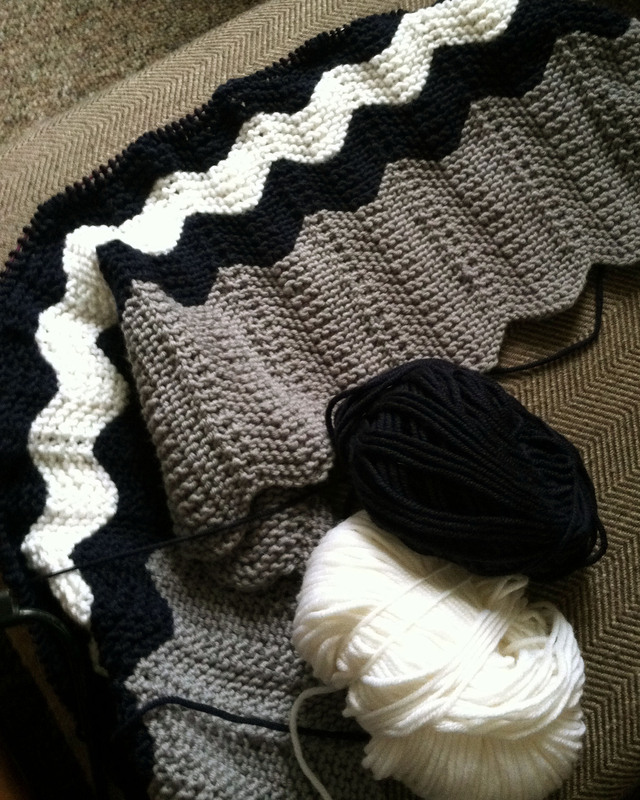 Put your baby first as making your firstborn a blanket is priceless.